In today’s tutorial, I would like to take the concept of Pocket Life journal cards one step further. 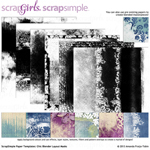 Our designers have provided a variety of digital scrapbook templates and cards to make digital scrapbooking projects fast and easy. I am going to teach you how to utilize your stash of frames and masks, along with the cards, in a fun and creative way. This approach will produce a slightly different appearance to a Pocket Life page. Let’s begin by setting our Grid Preferences. Choose Edit> Preferences> Guides, Grid, & Slices (Mac Photoshop:Preferences> Guides, Grid, & Slices). 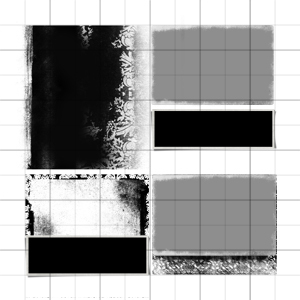 Choose a color and a style for the grid. Enter a value for the grid spacing. Click OK.
Go to View> Show> Grid, and your lines will appear on your page. Now the fun begins. Select an assortment of masks and frames to assemble together in a puzzle-like fashion, resizing and using your grid lines to fit each object into place. 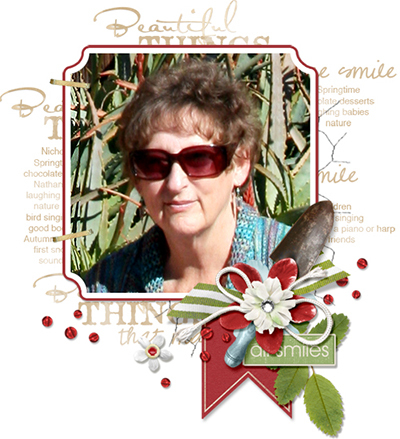 Clip photos and papers to the masks and frame templates, then embellish with a few elements. 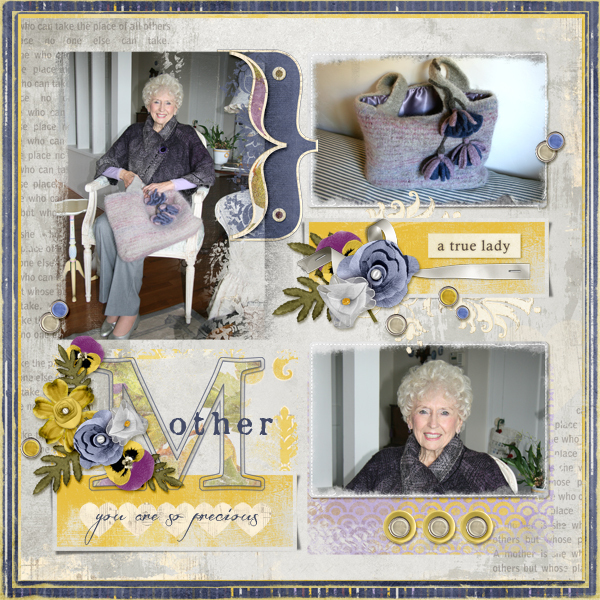 I found Amanda Fraijo-Tobin’s lovely Motherly Collection Biggie by shopping in the Theme> People> Women & Mother’s Day section of the Scrap Girls Boutique. I’m certain that she designed the product to go with the photographs of my mother! You will be pleased to discover that even though you have used mix-and-matched products, your page will have a sense of cohesiveness. I challenge you to experiment with this alternative approach to the Pocket Life concept and then share your results in the Scrap Girls Gallery. 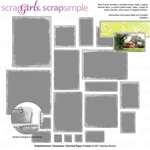 Commercial license versions of ScrapSimple Paper Templates: Chic Blender Layout Masks and ScrapSimple Embellishment Templates: Stitched Paper Frames Biggie are also available.